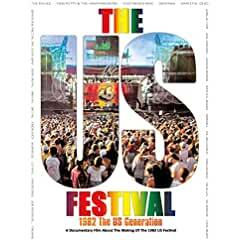 The Us Generation: The Making Of the 1982 Us Festival is an in-depth look at one of the most influential music festivals of all time. The Us Generation is from award winning filmmaker and rockumentarian Glenn Aveni, who is also the film's director. Co-Directed by Jay Cederholm and Produced by Bruce Gibb & Rich Schmig, the film blends rare concert footage and insightful interviews with both organizers and performers.